Within the well-worn twists-and-turns of Modernism's history, there are repeated references to ‘white' somewhere in the re-telling. At times white relates to purity of form, other times to idealism, but most often to something literal in the Architecture. No one in Architecture need be reminded that Modernism's seminal Bauhaus style did not require that a building be white. In fact, most of the notable Bauhaus buildings in Germany, where it began, were not white at all. 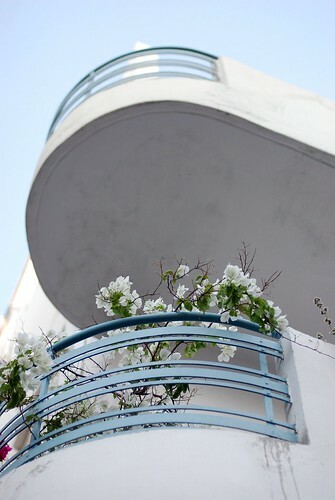 Yet, in its translation through Le Corbusier, the Bauhaus style was specifically rendered in white, and that was due in large measure to Le Corbusier's 'purism" aesthetic at that time. Richard Meier, a latter day neo-Corbusian, also carried the theme forward in his unofficial title of ‘White Knight’ of the Modernists, beginning with his homes, and continuing through his museums, office buildings, most of his skyscrapers, churches and technical buildings. With the beginnings of Post-Modernism in the United States, it is also significant that Modernists were called the 'White(s)' and the Post-Modernists were counter-labeled the 'Gray(s)'. Robert Stern (before the 'A. B.' was routinely added) became the firebrand leader of 'Gray(s)'. He cast 'White(s)' as the dutiful, but elitist Architects of the opposition, supposedly restricting creativity within Architecture of that time, with their emphasis on 'foreign' rules of how to build functional buildings that date back to the Bauhaus. The point was simple - Modernists ignored the traditions and history of America by not drawing from any historical references, rather they pursued the restrictive abstract idealism applied everywhere the same and leaving little margin for improvisation. There is yet another 'white' story, the white story of this thread. It happened between the early 1930s and mid 1950s, with estimates that range wildly between 2500 and 5000 Bauhaus-like or Bauhaus-inspired buildings. These buildings were constructed in what became the old section of Tel Aviv, when Israel's second city expanded. That area was crowned "White City” as it developed - although many of these same structures were not always white. Even if you were more rigourous and take the low-end figure of 2500, this is still the largest concentration of Bauhaus-styled buildings in the world. 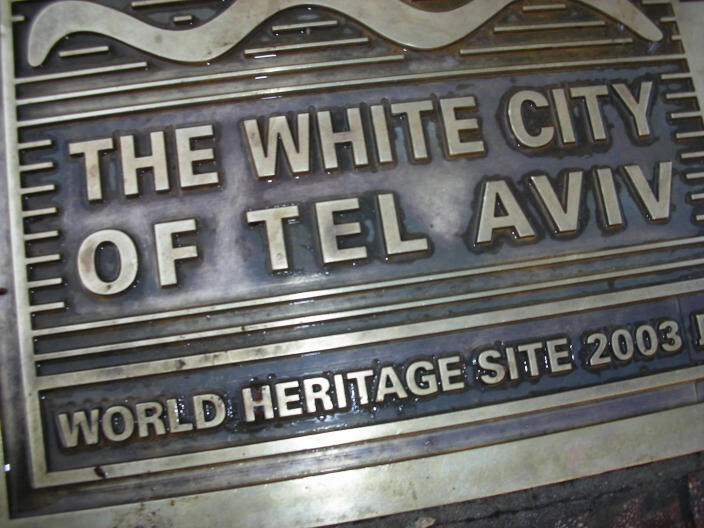 In 2003, UNESCO belatedly recognised 'The White City' by placing it on the prestigious "World Heritage List". 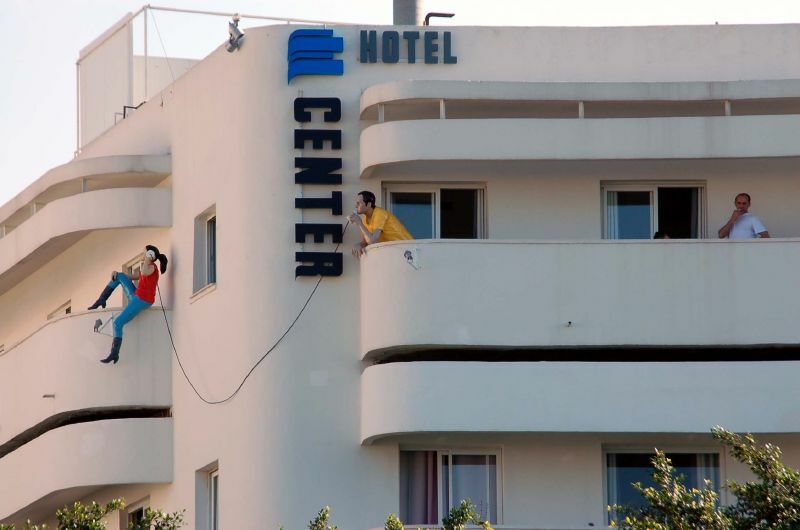 But why did this happen in Tel Aviv? 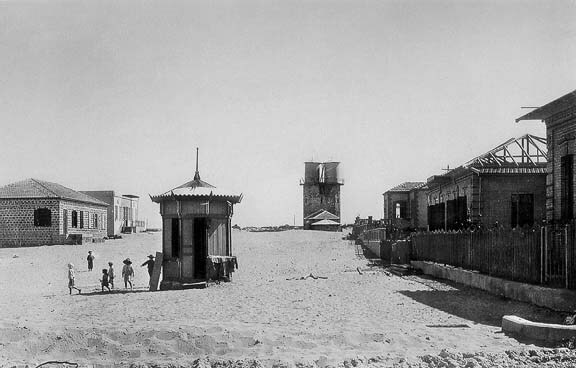 Tel Aviv, after all, served as shelter for Jews who tried to escape from problems brought about in Germany, Russia and elsewhere.Why bring in particular, the vestiges of a German legacy to Tel Aviv, and plant them inside this city that desperately sought to forge a new identity in the desert? We already know this Bauhaus school - meaning its founders and students - were forced to flee Germany when Nazi suggestions led to outright shutting down of the third iteration of the Bauhaus under Ludwig Mies van der Rohe. Many from this school found themselves in Russia temporarily; others went to North America - particularly United States; a few went to Venezuela; and there were the refugees who went to Tel Aviv. In the transition from the Weimar Republic to National Socialism, so-called “degenerative” Architecture and ideas were thoroughly excoriated. Bauhaus was '... not historically German,' according to the emerging, and later ascendant Nazi authorities. They argued that those who followed its precepts were leading Architecture in the 'Fatherland' down the path of " ... foreign ideas masquerading as Teutonic treasures." The concept of "not historically German," although in fact founded by very Teutonic Germans, was enough of a reason, sadly, for rejecting this school out of hand, and forcing both its ideas and proponents outside that Nation's borders. 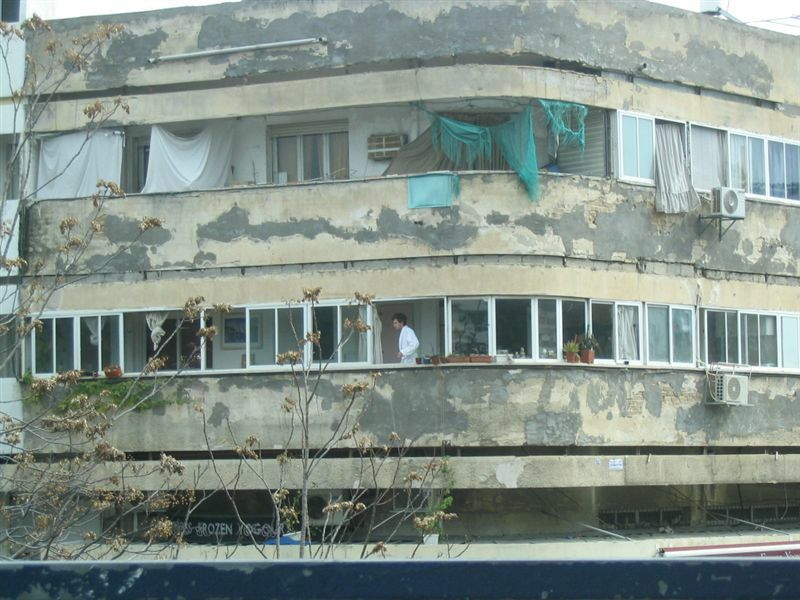 And what about the specific Architects of the "White City" in Tel Aviv? Not only were they many in number, but also a large portion of them were notably neither born nor reared in Germany. 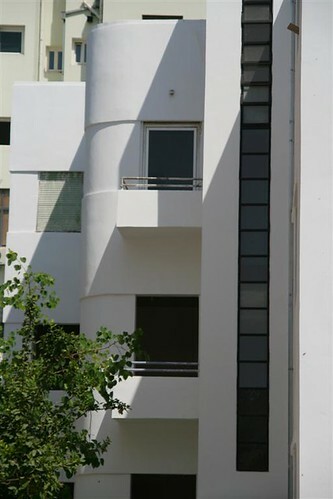 Interestingly, as the Bauhaus form caught fire in Tel Aviv, precisely because it was a good fit - beautiful and inexpensive to build, an elegant simplifying of a previous style - it pulled in Architects that recognised the logic and built in that then new style, even though they were never formally exposed to any of its teaching or rules. Whatever was German about it was lost for a period of time, in both the lack of acknowledgement and successive adaptations. 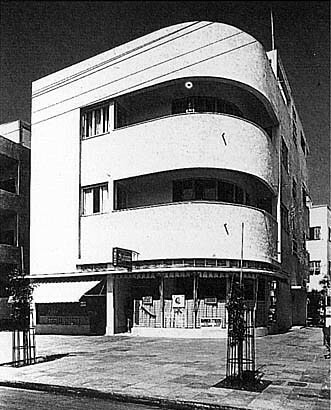 "Tel Aviv Bauhaus," as a stylistic branch, inevitably developed its own backlash, some time in the mid to late 1950s depending on whom you read. Now it is a tourist area in Tel Aviv, deserving a much broader audience and appreciation than that, but being actively preserved - for which we should be thankful. Last edited by Zephyr; August 1st, 2008 at 08:08 AM. Last edited by Zephyr; August 1st, 2008 at 08:13 AM. Bauhaus architecture, whose founding father was Walter Gropius, developed in Germany in the 1920s and later in the U.S., in the 1930s. The American form of this architectural style was dubbed the International Style after Gropius, Mies van der Rohe and other leaders of Bauhaus migrated to the U.S., with the Nazi’s growing influence. The Bauhaus school in Dessau was closed on April 11th, 1933, by the police, at the insistence of the National Socialist government. Purists assert that Bauhaus architecture can only refer to buildings in Germany and anything else should be termed International Style – while others use the terms interchangeably (as is the case in this issue of Gems in Israel). The term International Style was really adopted after the publication of a book that coincided with a 1932 exhibition at the Museum of Modern Art in New York. The book, by historian Henry-Russell Hitchcock and architect Philip Johnson, was called, The International Style. Bauhaus architecture was concerned with the social aspects of design and with the creation of a new form of social housing for workers. This may be just another one of the reasons it was embraced in the newly evolving city of Tel Aviv, at a time when socialist ideas were so prevalent. This style of architecture came about (in part) because of new engineering developments that allowed the walls to be built around steel or iron frames. This meant that walls no longer had to support the structure, but only enveloped it – from the outside. The teachings at the Bauhaus school of design, which functioned from 1919 to 1933 (first in Weimar and later in Dessau), were greatly influenced by the machine age. The school's aim was to fuse all the arts under the concept of design. The school had 700 students and was known for requiring its students to forget everything they had learned to date. © 2000 Gems in Israel. All rights reserved. Last edited by Zephyr; August 1st, 2008 at 11:21 AM. Personally I find this stuff very beautiful --proof that Modernism could rise to beauty if freed from excessive puritanism. If you think about it, precious little separates this stuff from the exactly contemporary Art Moderne architecture in Miami Beach. 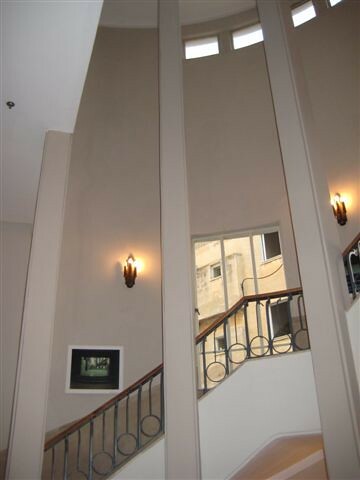 Strip off the deco ornament and the colors there, and you'll find the "Moderne" is really Modern. Last edited by Zephyr; August 1st, 2008 at 07:21 AM. 1) Excellent thread; A very interesting and relatively little known subject. 2) I agree that many/most of the buildings look good. It’s been my observation for some time that, much as I loathe the vast majority of ‘modernist’ buildings, when they are not too big and are painted brilliant white they look a lot, lot better. 3) Some of the buildings pictured here are halfway between ‘modernist’ and ‘streamline moderne’, ne c’est pas? 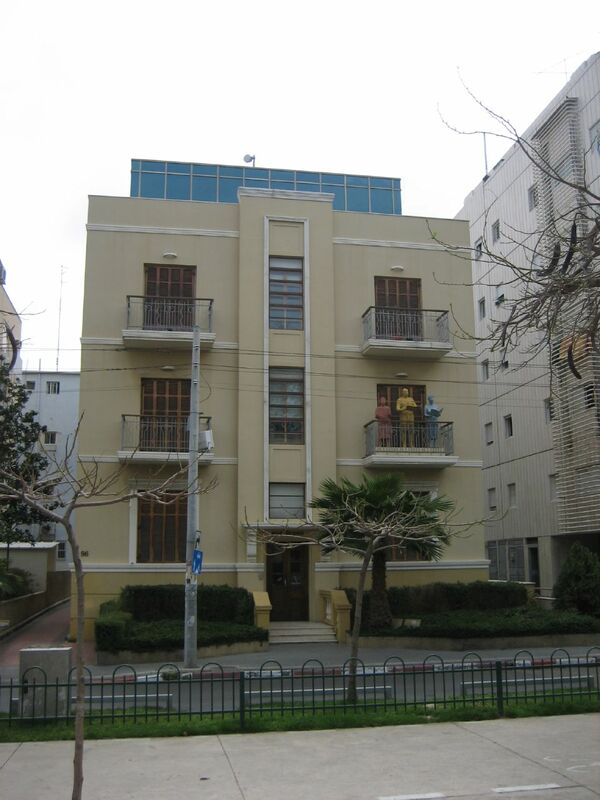 4) There must also be a fair amount of Art Deco buildings in Tel Aviv, I guess? 5) Some of the ‘eclectic’ (I would call it pared-down classical) buildings look fine too; especially the one in the bottom picture . North of the old city of Jaffa, in a sand dune area off the Mediterranean coastline, is Tel Aviv - or Spring Hill. Despite being a relatively young city within an even younger nation, Tel Aviv has the highest standard of living in Israel, and is that country's second largest city. 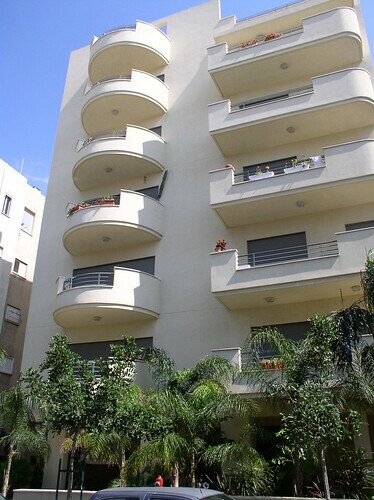 Metropolitan Tel Aviv now includes Jaffa, as the two entities have developed together, with the older Jaffa joining in the dynamic growth of Tel Aviv, to form a varied and intriguing mix. And as far as Tel Aviv is concerned, it began with a dusty desert road, and a shared dream. Still under the Ottoman Turk empire, and before the British arrival, the primarily Jewish residents sought to bring a 'flower to the desert,' while forging a modern Jewish identity. Outside observers may only have seen the unpaved road and the improvised housing - but these pioneers were determined to transform that humble start into something special. During these early beiginnings, one street, without an agreed upon name, took centre stage. After a few name changes this street finally settled upon 'Rothschild Boulevard,' taking its cue from the founder of modern Palestine - Baron Edward de Rothschild (aka Binyamin Edmond De-Rothschild). Rothschild Boulevard presided over the main Architectural changes that visited this city in the next couple of decades. 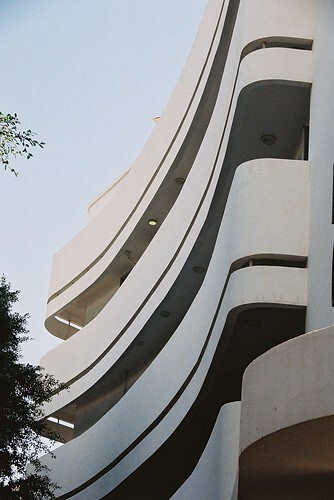 To this day, it is arguably the best place to examine "The White City" of Tel Aviv's Bauhaus-inspired buildings. 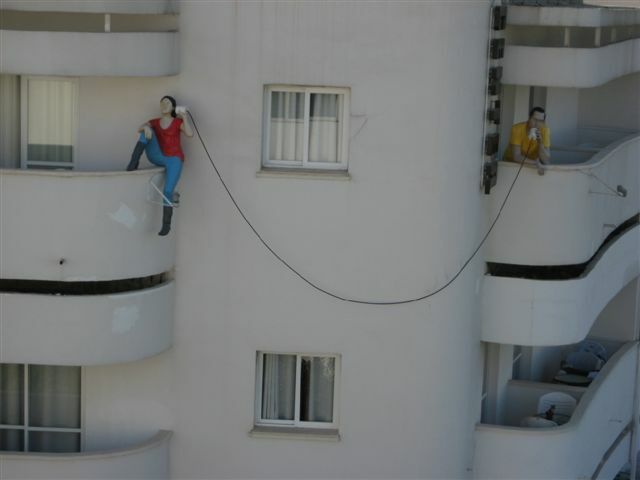 It is also the cultural fountainhead of Tel Aviv - the place where it all began. It is 1910, at the intersection of Rothschild and Herzl Street. Last edited by Zephyr; August 1st, 2008 at 07:09 AM. 69 Rothschild Blvd. <-----------------------------------------> 71 Rothschild Blvd. Last edited by Zephyr; August 5th, 2008 at 07:10 PM. 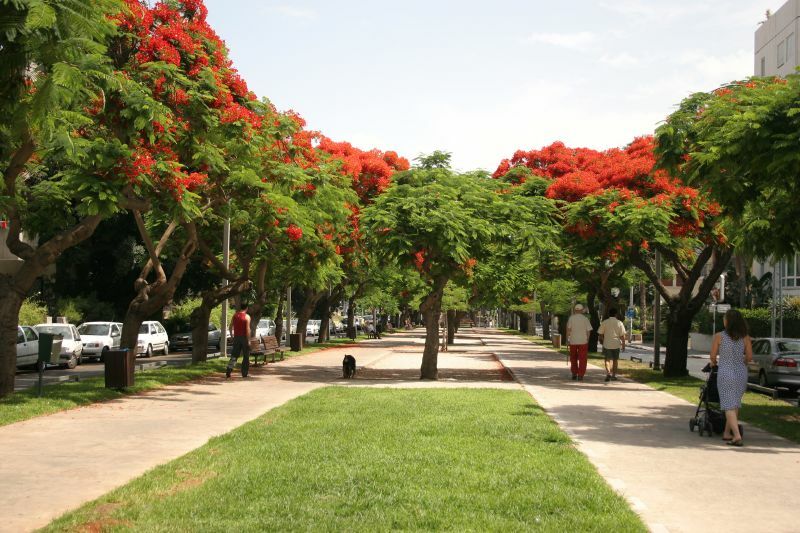 Dizengoff Street was in reference to Tel Aviv’s first Mayor - Meir (aka Me'ir) Dizengoff. But the most outstanding feature of that street came later with the completion of the Zina (aka T'zina) Dizengoff Circle, named for the first Mayor’s late wife. 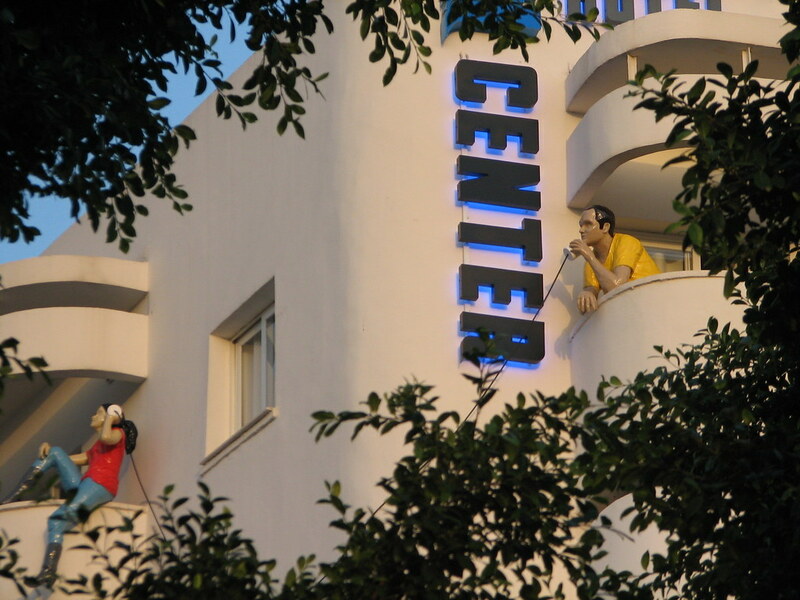 Because of its history, Dizengoff Street had also become a tribute to the Bauhaus. 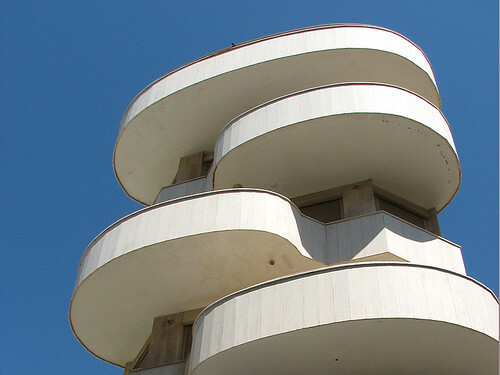 From end-to-end, the Tel Aviv Bauhaus-style was everywhere present. By revamping the Square into this Circle, however, Russian born but Bauhaus trained Genia Averbuch succeeded in creating the crown jewel for the Tel Aviv Bauhaus. As the primary Architect, Ms. Averbuch made changes to the way Dizengoff circulated out to other streets, and set a trend in the way Bauhaus buildings addressed the Circle. Ms. Averbuch saw most but not all her vision completed by 1934. She provided what many thought was the final punctuation, not only to Dizengoff the street, but also to "The White City" in general. Moreover, this is perhaps the most photographed area in downtown Tel Aviv, from the day it was revamped all the way up to the present. Long after the Bauhaus Architects faded from the Tel Aviv scene, this Circle was again modified, but not because of the failure of the Bauhaus style, but rather due to its popularity. A central parking area, underneath, was created. This was accompanied by a more efficient routing of traffic more seamlessly through the underground of the Circle and on to other streets that radiated from it. Also added was one other key item - access to a new underground mall. According to many long-time observers, none of these changes detracted from the overall Bauhaus feel, because these additions were largely invisible, and served the function of facilitating greater usage, spread out over multiple levels and venues. 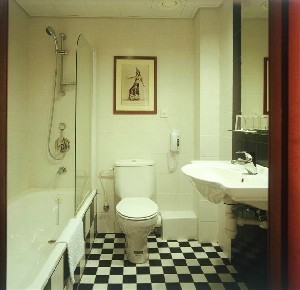 Others would beg to differ, preferring a return to the original more elegant and less complicated 1934 design. You'll have to be your own judge on this matter. Last edited by Zephyr; August 1st, 2008 at 06:32 PM. 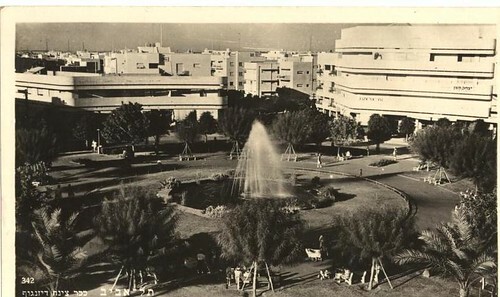 Genia Averbuch, the Architect who designed the Dizengoff Circle, also designed buildings around that Circle. But by the late 1930s, Ms. Averbuch was beginning to transition into city planning when the first of two major Cinemas appeared on this site. 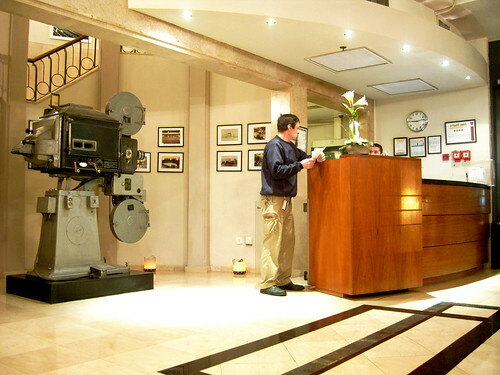 This first Cinema was the largest of the two. 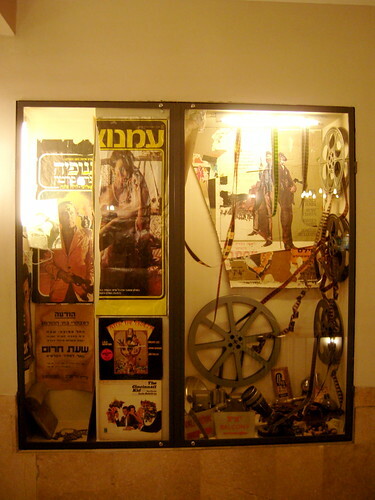 It was owned and operated by a wife-and-husband team of Esther and Moshe Netanel, and was named like the Circle for the wife, hence - Cinema Esther. Moreover, the Netanels found a way to draw large numbers of people to the Circle, and their timing was impeccable. What they needed was the right Architect to execute their business vision. The Architect they selected was Yehuda Magidovitch. He not only completed Cinema Esther by 1939 with all their business visions in place, he also created a work that was an undeniable tour de force. 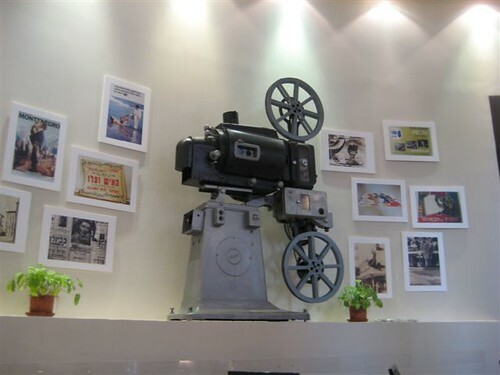 Both he and the Netanels had previously worked out a plan that featured a 1,000 seat Cinema, which provided additional space to create the following: a café that faced the street, and a small department-like store. The most brillant final piece to the Nethanel plan was the eventual introduction of air-conditioning to this building - not just appropriate for this desert setting, but all together novel for the time. Architecturally, the exterior that Mr. Magidovitch came up with, was derived from Bauhaus, but with a certain ersatz twists. Outside, for instance, the curved balconies reflected the Circle's curvature, but unlike Bauhaus structures that created balconies that were ultimately functional, this version was largely decorative. They were in fact balconies without porches! Inside, the broad expanses were fashioned for drama, even though masked by simple presentation. Placement and lighting created stunning but minimalist results. Intriguing natural-light screens throughout the lobby, augmented by strategically placed artificial light, made it all work. To-day only the remnants remain, especially the minimalist staircase, but they have been restored without changes and a great deal of attention to detail. 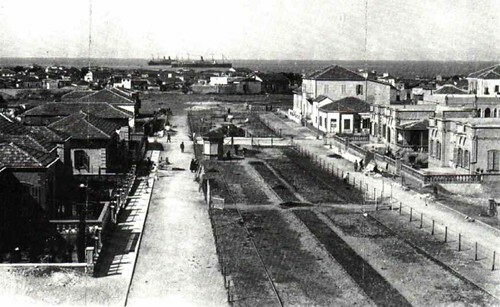 Migrating to Tel Aviv after WWI, the Russian-born Mr. Magidovitch arrived in the non-Bauhaus phase of Tel Aviv Architecture. Actually, in the earlier part of his career, his structures were definitively Eclectic without a hint of anything Bauhaus-like. He worked in his official capacity as Architect of the city, run by then first Mayor Meir Dizengoff. It was during this time that Mr. Magidovitch indulged simultaneously in private work, which was a no-no that could not be hidden. Eventually he was forced to leave his city post to conduct an exclusively private practise. The adaptable Yehuda Magidovitch, expanded Eclectic to include Bauhaus, and he was not the only one to do so after 1930. 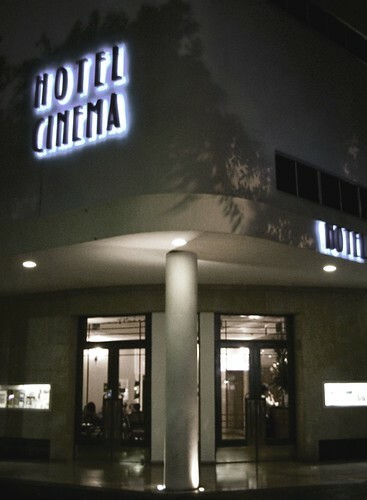 Below is Cinema Esther recast in its current role, since 1998, as boutique hotel - otherwise known as "Hotel Cinema Esther". 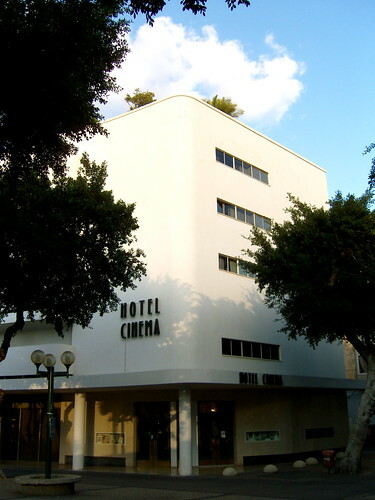 A Polish Architect who was specifically trained at the German Bauhaus, Arieh Sharon, designed the second Cinema placed on Dizengoff Square. This building was slightly further away from the Circle, but next door to Cinema Esther when they both began as places to see film. 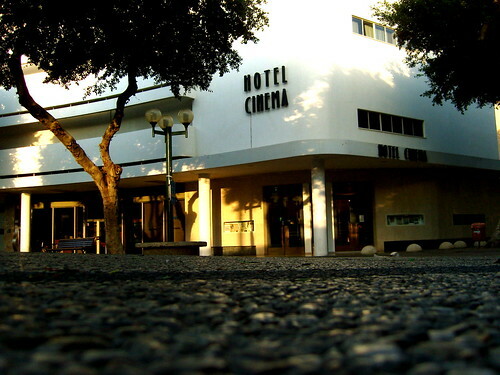 This motion picture theatre was initially called Chen (or aka Hen) Cinema and was completed by 1945. Chen/Hen Cinema and Cinema Esther co-existed for a considerable time thereafter, and you'll notice the obvious similarity in exteriors but different scales. Last edited by Zephyr; August 5th, 2008 at 04:50 PM. To-day the Bauhaus is not as omnipresent along the Mediterrean Sea as it was in the 1930s and 1940s. That is because the Seashore has been gradually re-populated with newer buildings that have overtaken that role in both location, and in some cases height. Period photographs are the best illustration of the past however, and a few remain. 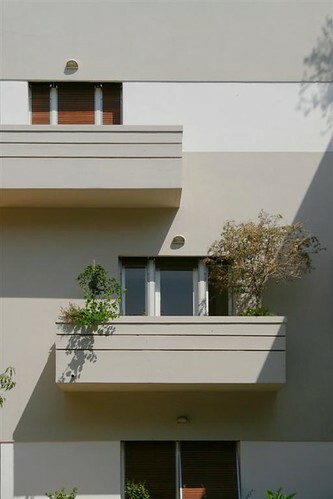 Hayarkon is the street that defines the Tel Aviv Bauhaus along the sea, although this same street travels at times away from that shore in various places. We have attempted to illustrate both the past and the present, the seahore and inland aspects of Hayarkon, as it relates to Bauhaus-styled buildings. Last edited by Zephyr; August 5th, 2008 at 05:53 PM. Last edited by Zephyr; August 1st, 2008 at 06:56 AM. appear otherwise when seen in person or via colour photography?" Last edited by Zephyr; August 2nd, 2008 at 05:19 AM.